The easiest way to remove wainscoting isn’t magical, it won’t cause you to avoid a mess, but it will help you start to transform a room. If you’re renovating, perhaps thinking about different replacements for carpet and want to take down wainscoting, this won’t be a huge task. However, it will take some time and will likely leave its mark on the walls. 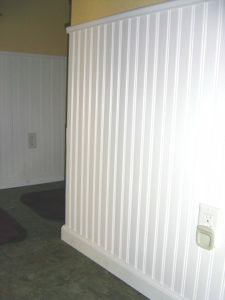 But, by being gentle and careful, you can minimize the damage usually associated with removing wainscoting. Wainscoting dates back the 1300’s, when the Dutch used it to protect the bottom half of plaster walls. 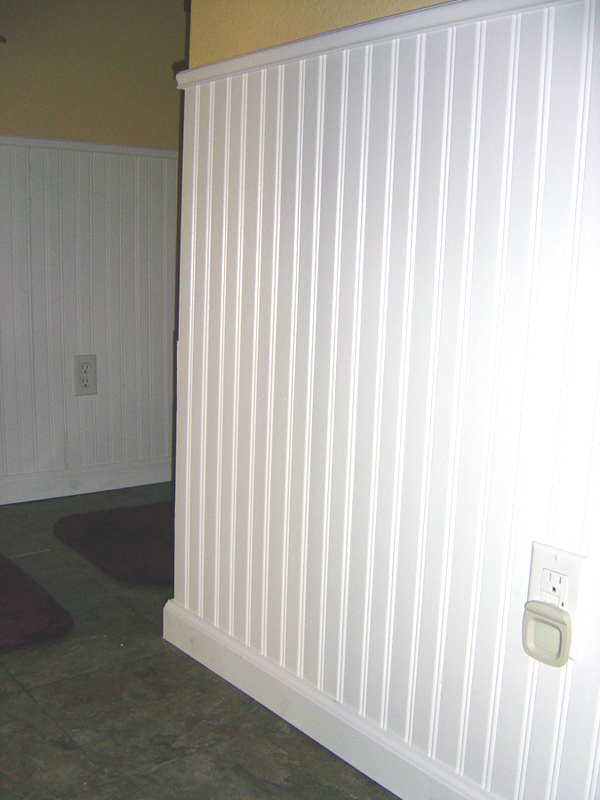 Today, wainscoting remains a very ubiquitous home feature, offered in a variety of styles. But it does eventually begin to show its age or could be damaged by a leak or electrical mishap. Whatever your reason, you have a room partially lined in wainscoting and it needs to go, along with all that old fitness equipment. Locate the studs. To keep the paneling from bowing or buckling due to changes in the weather, where room temperatures fluctuate, it’s also nailed to the walls. Locate the studs using a stud finder, if the nail heads are not visible. Then pry the nails from the wainscoting and out of the walls. Remove the railing. The majority of wainscoting is equipped with a top rail that locks into the panels. Use a pry bar to remove the railing from the wainscoting but do this carefully to minimize or avoid damage to the walls. Put the rails in a neat pile out-of-the-way so they aren’t a tripping hazard. Pull the baseboards. Just as with the top of the wainscoting, the bottom is typically equipped with baseboards. Here again, you’ll need to remove the baseboards with a pry bar and do it carefully to avoid damage to the floor. Place the baseboards in a pile with or alongside the rails. Take the panels off the wall. Now, you’ll be able to remove the wainscoting from the walls. Place a wood shim against the wall, pushing the pry bar down behind the panels and pull up, using the wood shim as a fulcrum and wall protector. If you are doing some home improvement, be sure to phone 800-433-1094 or visit Junk Garbage Removal to schedule construction and remodeling debris removal. We’ll help you deal with all the junk and cleanup.